Should drivers take out a servicing plan for their car? Money matters: should drivers take out a servicing plan for their car? Few drivers look forward to the moment they have to take their car to the garage and have it serviced. Why? Because of the dreaded moment they are presented with the bill. Even a relatively straightforward servicing job, like having the engine oil changed, can cost more than £100. But if there’s an unexpected problem discovered during the service, drivers can find the bill rises faster than steam from an overheating engine. 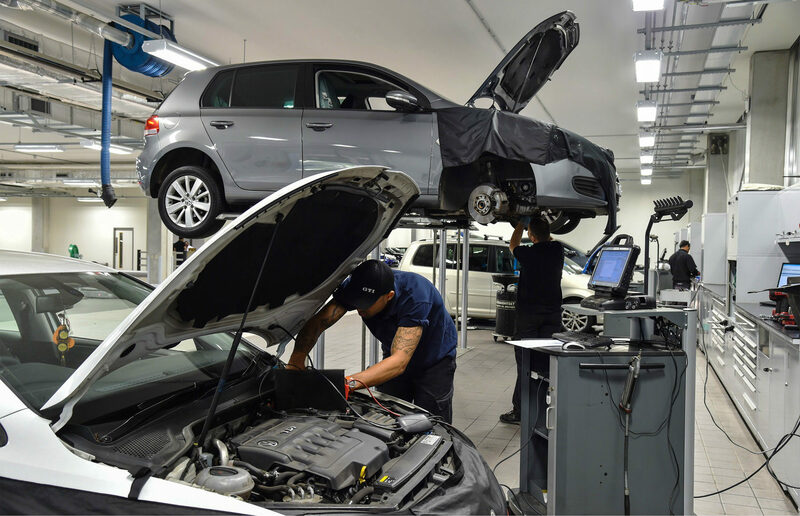 To help drivers spread the cost, increasing numbers of car makers and independent garages are offering servicing plans to drivers. With new cars, these plans can be paid for upfront, often included as part of any finance deal taken out to buy the car. With used cars, the cost may also be factored into a finance deal or bought later and spread on a monthly basis, rather like paying rent or the mortgage each month. The obvious question on every driver’s lips is which offers better value for money? We look at some of the more popular servicing plans and compare them to pay-as-you-go servicing. Most of us may be used to paying for a phone or even a car on a monthly basis. But there’s still plenty to recommend pay-as-you-go for a car’s annual or bi-annual service. For starters, if you have an excellent local garage that charges highly competitive labour rates, the annual cost of having a car serviced by them is likely to be substantially more affordable than having it maintained through a service plan at a swish franchised dealer. It also gives consumers the freedom to shop around. That’s a good thing, should you have a bad experience with one garage. Whereas, for example, if you take out a service plan and subsequently have a bad experience with one Volkswagen dealer, you’re obliged to use another Volkswagen dealer. And that could be inconvenient, given there are unlikely to be two in your local area. However, taking the pay-as-you-go approach means you aren’t protected against possible future rises in the cost of labour and parts. And if drivers don’t set aside money to cover the cost of a service, they must be prepared to settle a substantial bill. If our cost comparisons are a good indicator, drivers of used cars (the majority, as the average age of cars in Britain is nearly eight-years-old) must do their homework carefully before signing up to a car servicing plan. An affordable small car, like the popular Volkswagen Polo, is available with a service plan from VW. It’s for models aged between one and eight-years-old, and covers one minor and one major service for two years. It costs £467.82 or 18 monthly payments of £25.99. For the same intermediate and major services, Halfords could knock that down to £304. And at the time of writing, Kwik Fit would charge £248. Audi offers a more competitive service plan for its models. A five-year-old Audi A3 2.0 TDI can be serviced by Audi dealers for the next two years at a cost of £360 (or 18 monthly payments of £20). That’s a competitive rate that compares favourably with local garages. It’s important that drivers are aware that servicing plans can’t be transferred to another car. Instead, they remain with the vehicle, which means the next owner can benefit from them – at the seller’s expense. The same applies if you trade-in the car for a new model. On the evidence of our price comparisons, used car drivers would be better off sticking with traditional, pay-as-you-go servicing. To find rated garages and get quotes for servicing, call around or try the new breed of price comparison sites. Whocanfixmycar.com, bookmygarage.com and mycarneedsa.com show reviews of local garages and let drivers get quotes, all from the comfort of their armchair.